The Ford Ranger T6 is an Australian-designed medium pick-up that’s sold in more than 160 markets around the world. Built in Thailand, the Ranger was updated in 2019 with revised suspension and a new powertrain option for XLT and Wildtrak variants. The XL starts at $27,990 in 4x2 and $41,890 in 4x4, and sits below the XLS, XLT, Wildtrak and Raptor models. It’s available in 4x2 single cab, super cab (extra cab) and dual cab with a 2.2-litre four-cylinder turbo diesel and a six-speed manual or auto. 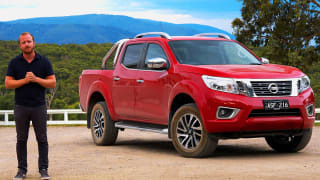 It’s also available in 4x4 single, super and dual cab with a 3.2-litre five-cylinder engine and a six-speed manual or auto, as well as a 4x4 2.2-litre dual cab/chassis and dual cab styleside ute. It comes with power windows, power mirrors, central locking, cruise control, climate control air conditioning and multimedia touch screen with Bluetooth.